Recognising heat stroke and acting quickly is vital if a dog is going to survive. 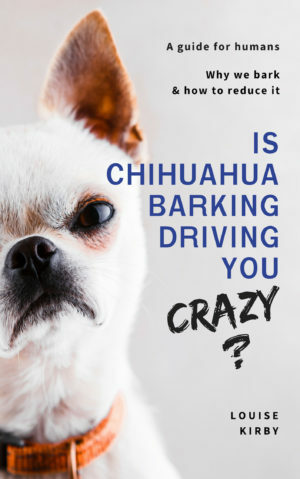 Often people underestimate how dangerous this condition can be, especially for a small dog like a chihuahua. Dogs don’t have sweat glands all over their body the same way people do. They have a few located in their paws, but the main way a dog will regulate their body temperature is through panting. Panting is the rapid shallow breathing a dog displays usually with his tongue hanging out. This may be after a period of exertion after a game or a good walk. Panting helps regulate their body temperature as water evaporates off the tongue, from the inside of the mouth and the upper respiratory tract. As the water evaporates it helps to cool the body down. Panting is perfectly normal and all dogs will do it. But some dogs are more predisposed to constant panting than others. Brachycephalic dogs are more likely to pant, brachycephalic breeds are dogs with flat faces, like pugs and French bulldogs. Chihuahuas do come under this umbrella, some are affected more than others. Apple heads often have a flatter muzzle. So, if it not overly warm and your chihuahua is panting heavily then maybe a check-up at the vets is in order. Heat stroke can kill a dog very quickly and if you suspect your dog is suffering from it then you need to take immediate action. Brain damage and organ failure can occur within 15 minutes. A dog can get heat stroke from being over walked on a hot day, being left in a confined space (like a car) or left in the yard with no shade. A hot car can kill a dog in 15 minutes, left in the sun with no windows open it can quickly reach 109 degrees. It goes without saying that you must never leave your dog in car, even for a few moments. 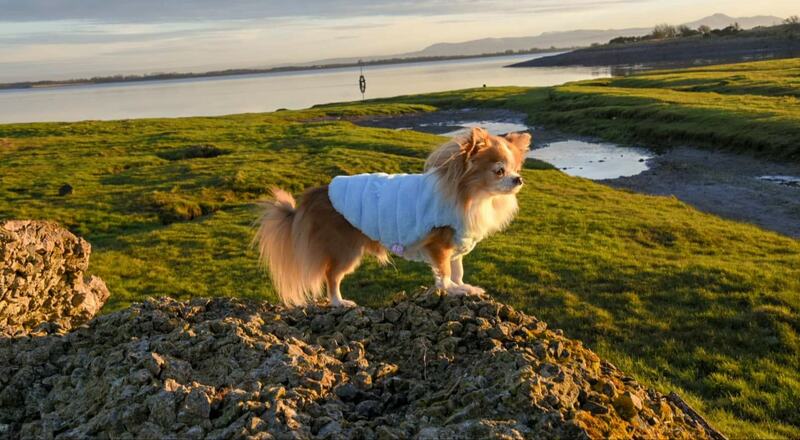 Chihuahuas are valuable, so as well as the risk of heat stroke they are at risk from thieves. You must seek emergency vet advice as your dog is likely to need intensive care. But, it is vital that you act to cool down your dog straight away. Doing this will give your dog a much better chance of survival. Get them to drink little and often. Avoiding the problem in the first place is best for everyone. If it is very hot then keeping your chihuahua at home is best. Also, you need to remember that If it is too hot for you to walk barefoot on the pavement, it is too hot for your dog’s paws as well. Always make sure they have plenty of fresh, clean water. Take water out with you on a hot day. If you are on a long car journey and the sun is coming in through the window, put a shade up. Avoid walking out during the hottest part of the day. Keep walks to shady areas and walk in the morning or evening. 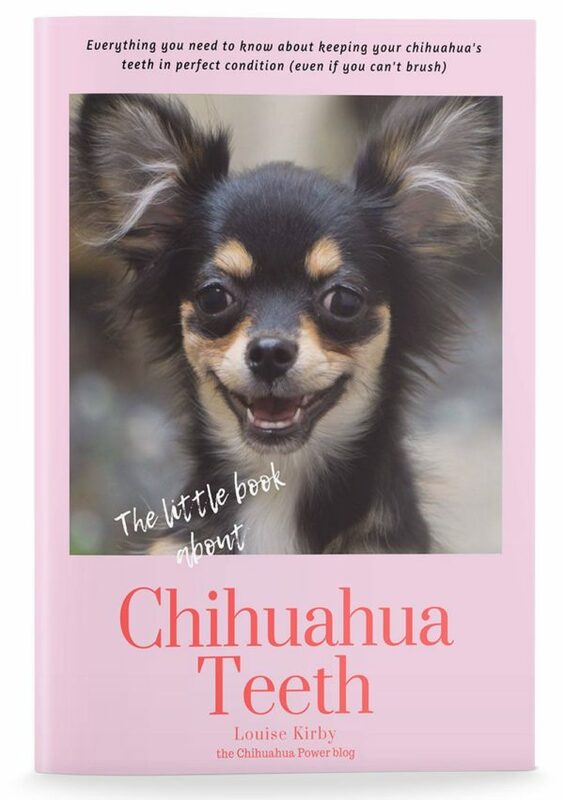 Next Post 9 things your must do with your chihuahua puppy from the off!